Videogames faces will become more important than every before, says the Metal Gear Solid creator. 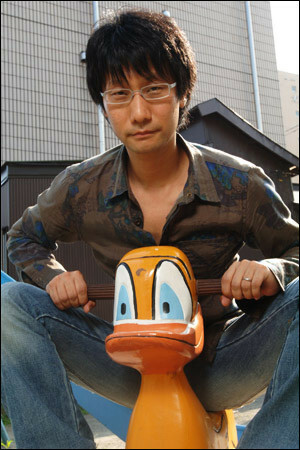 Hideo Kojima is a big fan of the MotionScan facial animation technology that Team Bondi used in LA Noire, and while he doesn't plan to use it in Metal Gear Solid: Rising, he thinks that it will change the way that developers make adventure games forever. MotionScan uses 32 cameras to capture facial expressions from every angle. According to its creator, Depth Analysis, it also represents an easier and cheaper solution for developers wanting to animate character's faces. Speaking at the Gamelab Conference in Barcelona, he said that he hadn't actually had a chance to play LA Noire yet - it hasn't come out in Japan - but had had the opportunity to visit the studio where the motion capture was taking place, and was very interested in it for the future. "The technology is absolutely fantastic," he said. "Facial expressions - that affect the outcome of the game - I think that's a huge element that from now on will change the direction of adventure games." Even though he won't be licensing it in the near future, it's not hard to see how the Metal Gear Solid series could really benefit from the MotionScan technology. Kojima is famous - some might even say notorious - for including very long cinematic cut scenes in his games, and MotionScan would not only help improve those scenes, but might even go some way to making them a little more interactive. It's not hard to see how it might be useful outside the cut scenes either, not when you consider how much the MGS series revolves around conspiracy, betrayal and trust. The Master Miller reveal in the original Metal Gear Solid, for example, would have even more punch if the player had been able to see Liquid Snake sneering smugly at him or her over the codec. There's obviously plenty of potential in the technology outside the Metal Gear Solid series, and even outside of the adventure game genre. Just making NPCs feel a little bit more real would be a great start. Of course, hiring actors to play your characters adds extra development costs, costs that not every studio is going to want to incur, or be able to afford.